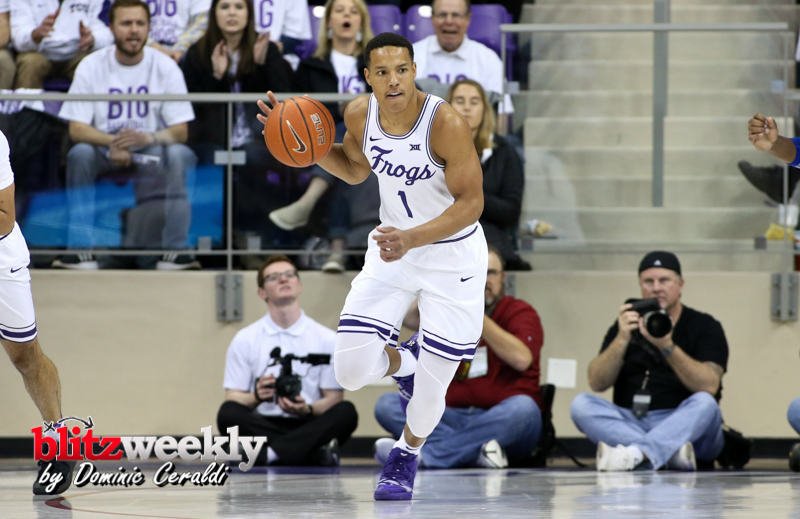 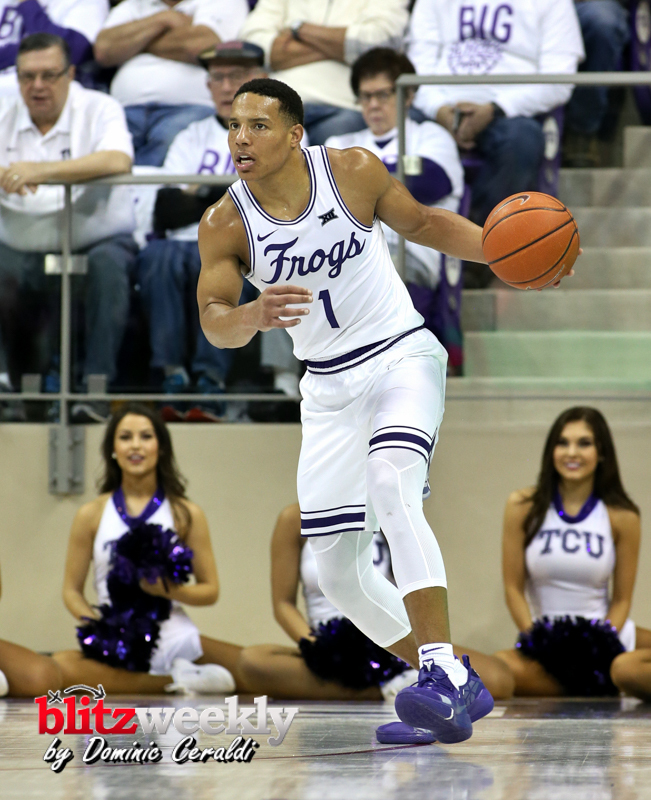 Desmond Bane scored a team-high 18 points, but it was not enough as TCU fell to No. 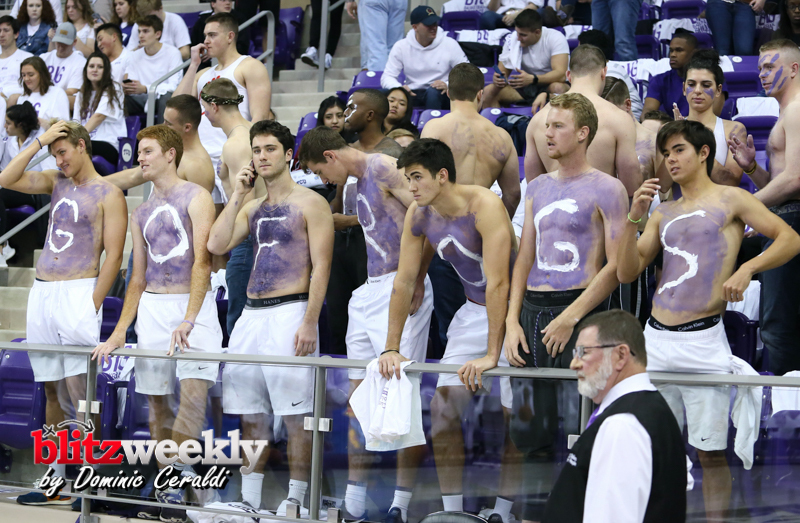 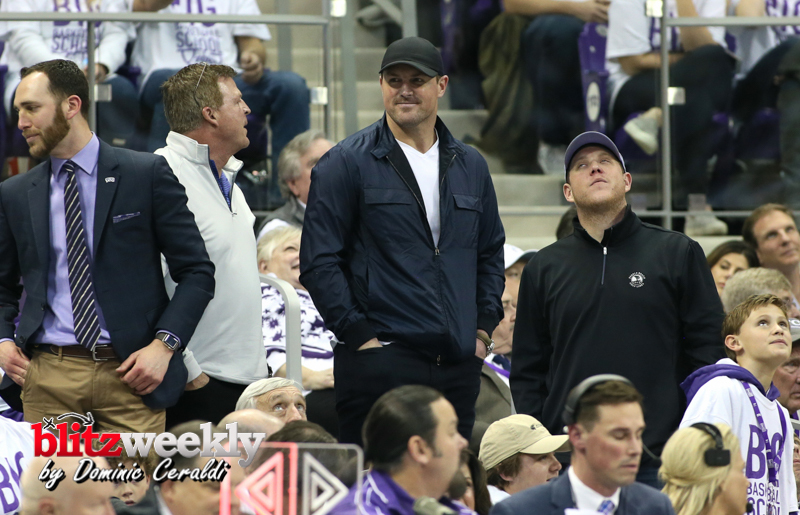 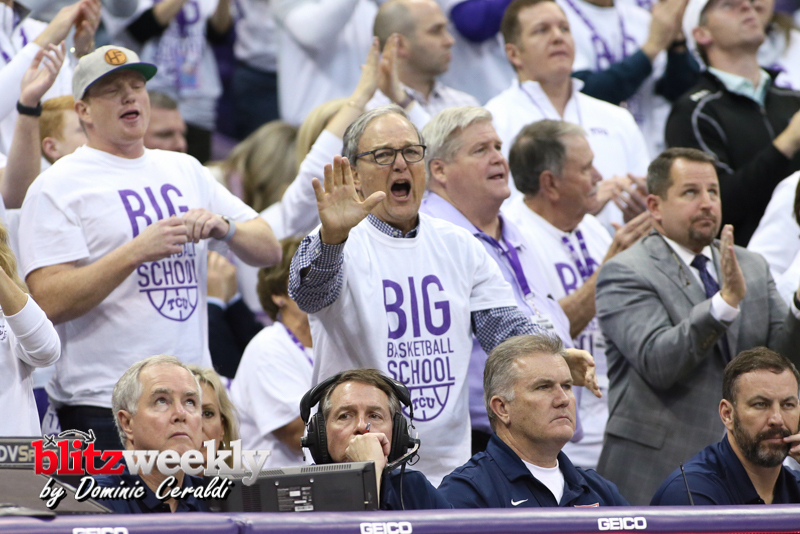 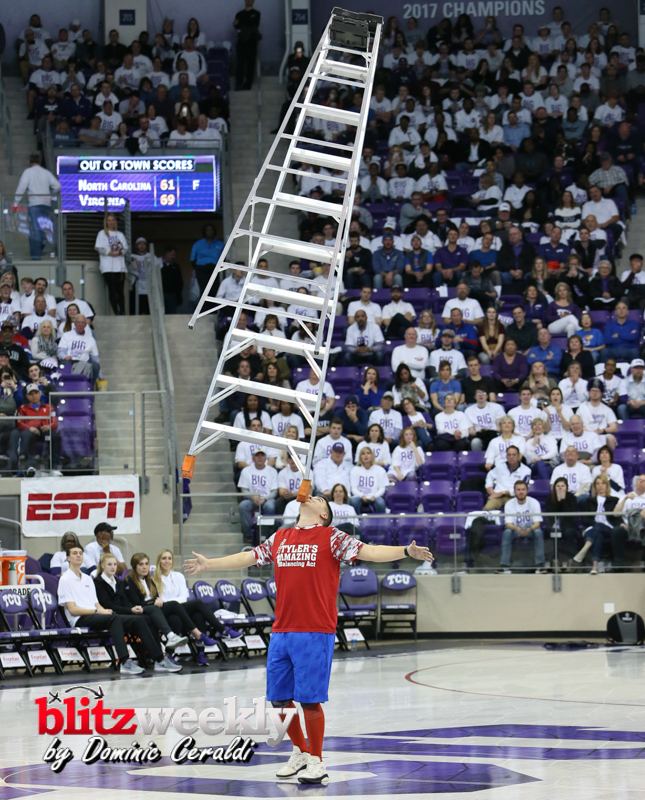 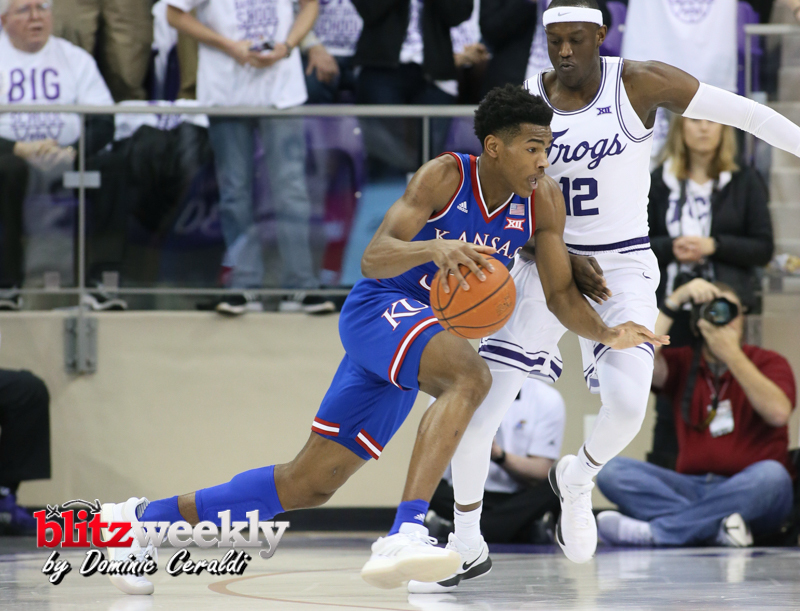 14 Kansas in overtime, 82-77, Monday in front an over capacity crowd of 7,356 at Schollmaier Arena. 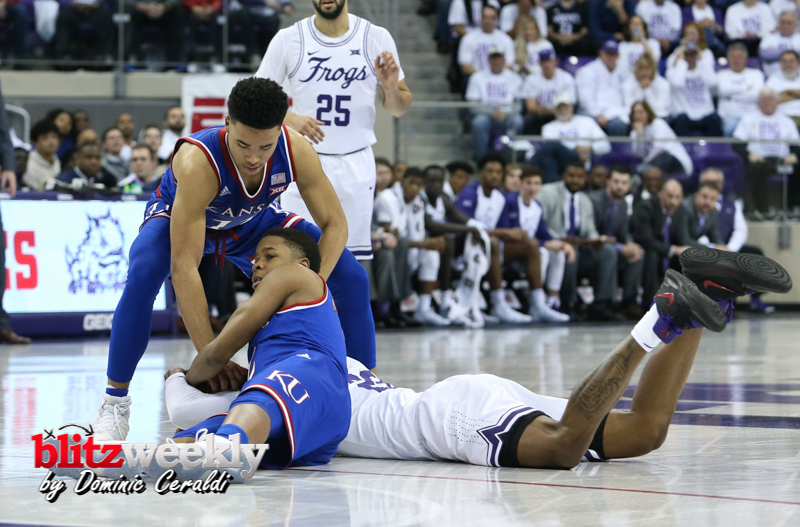 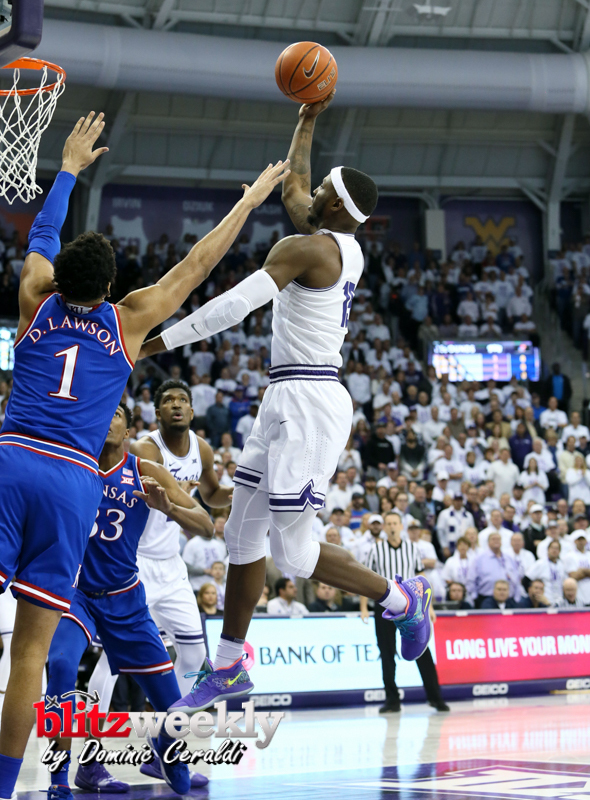 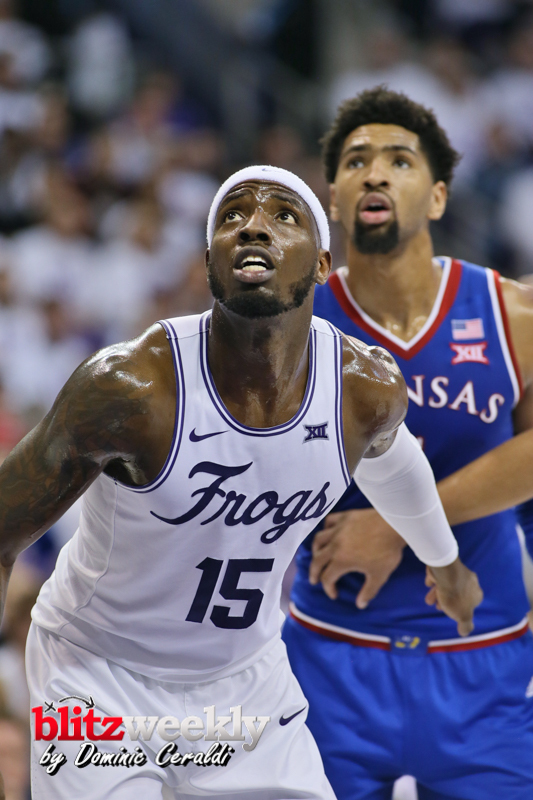 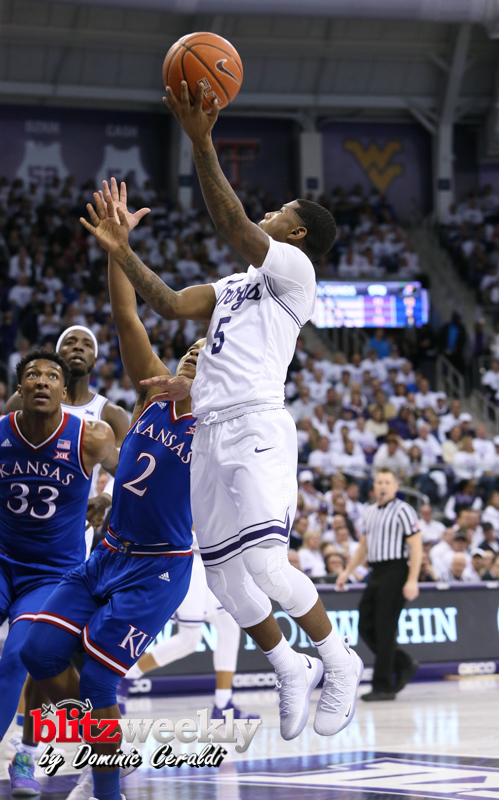 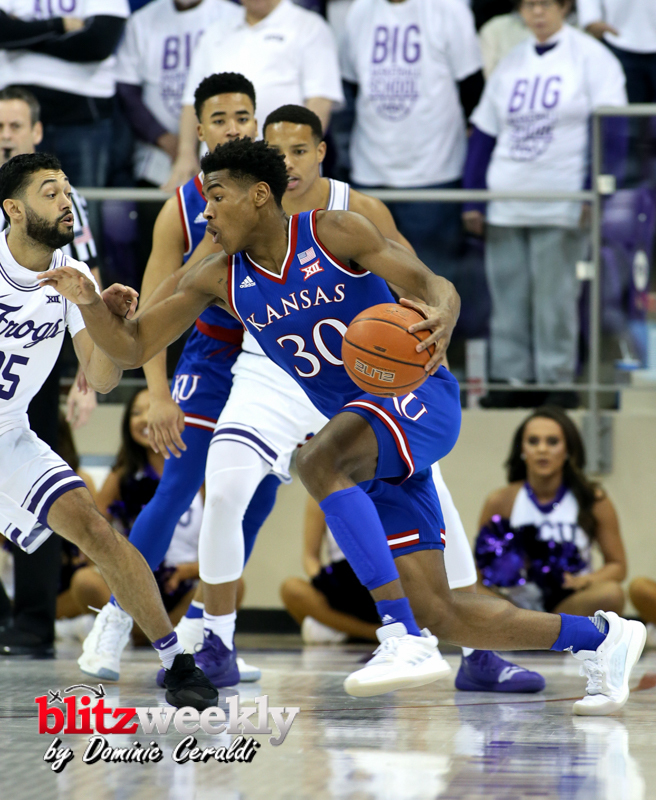 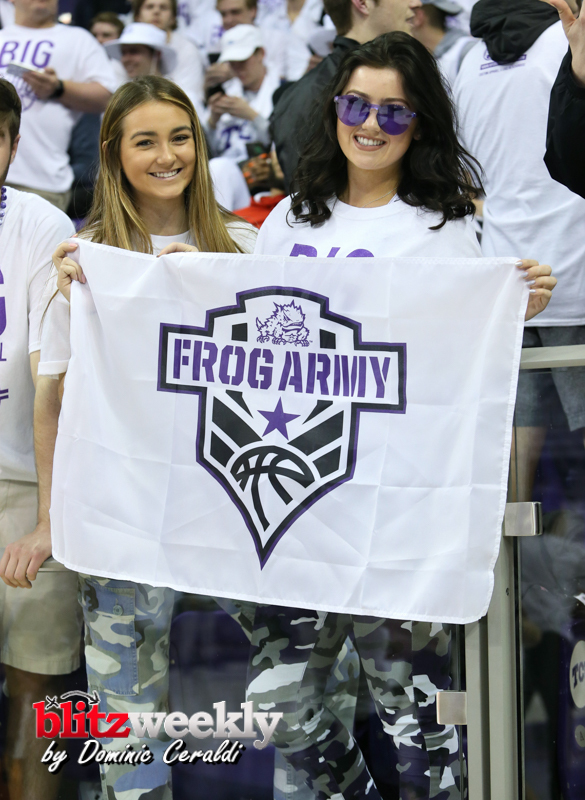 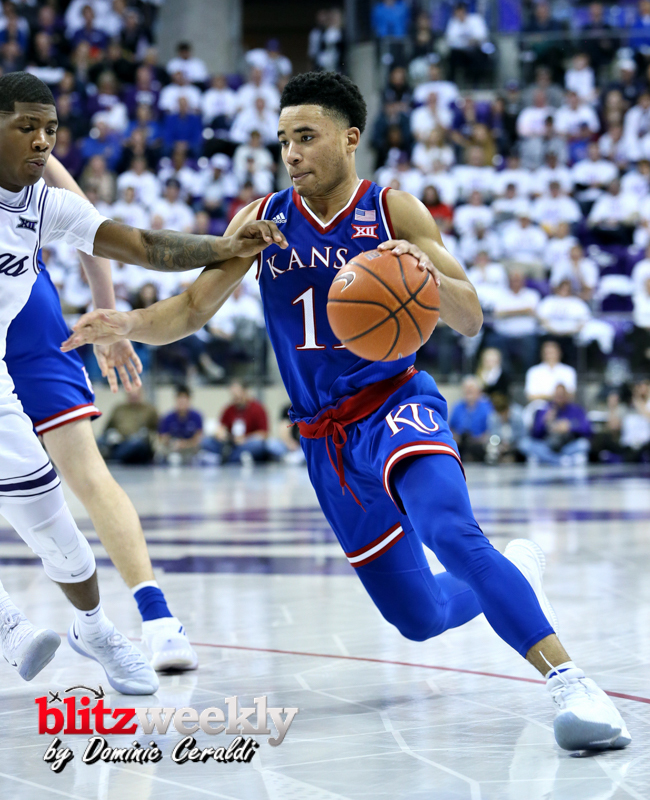 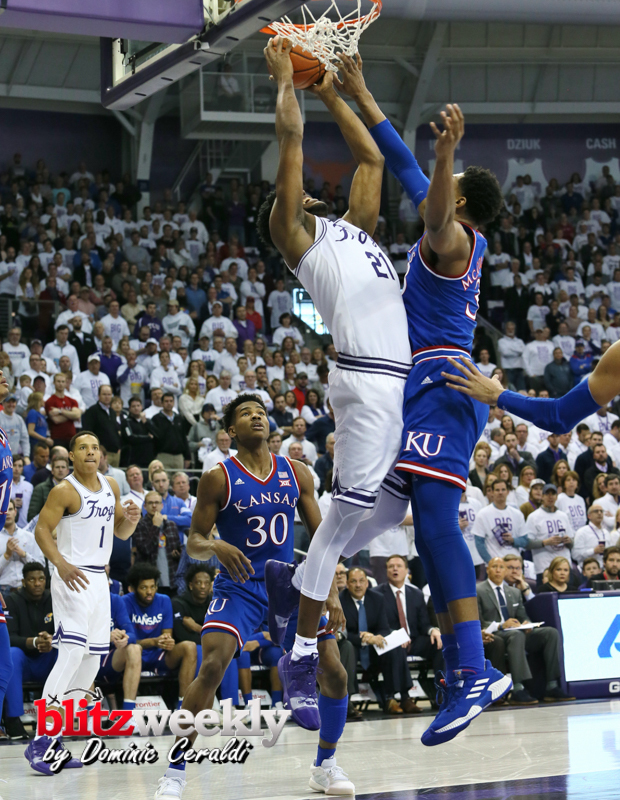 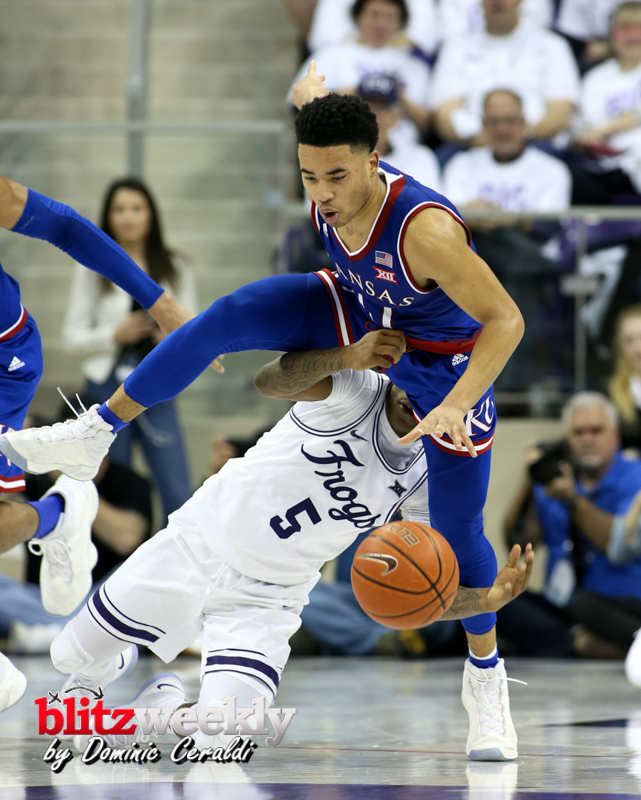 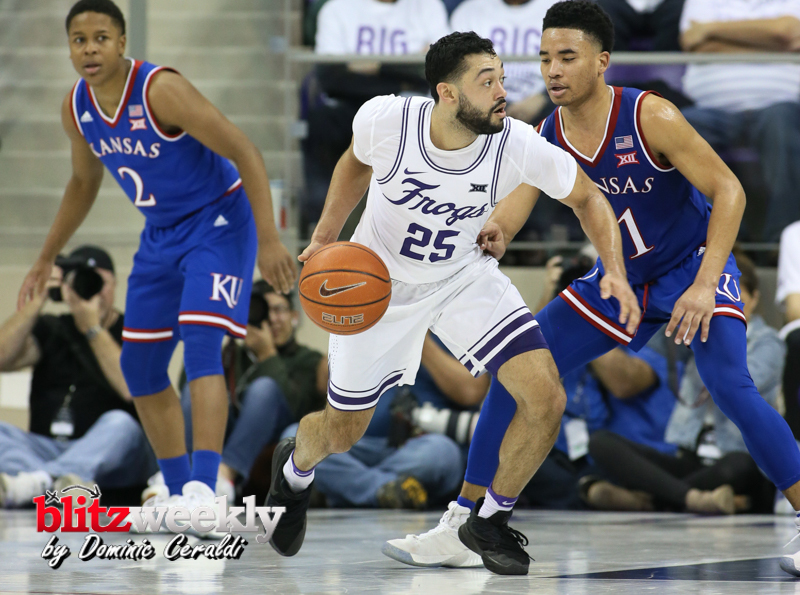 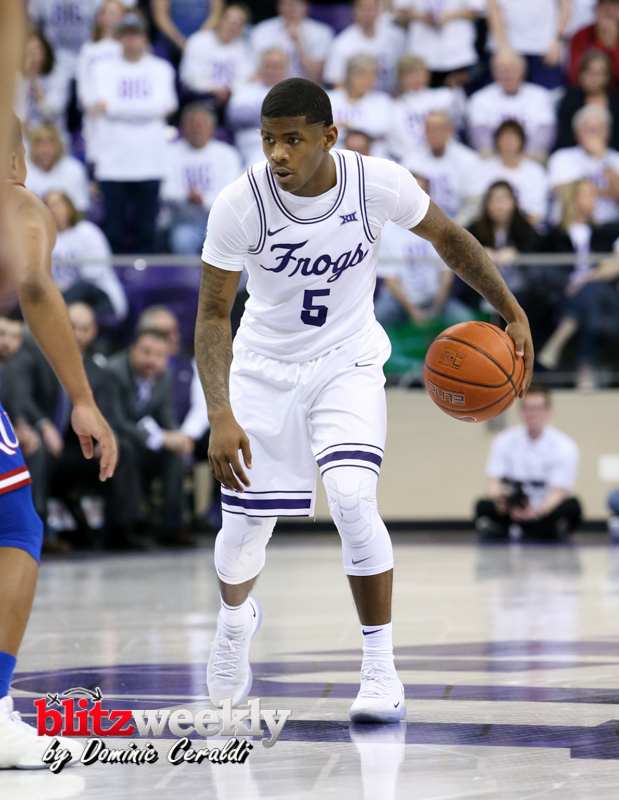 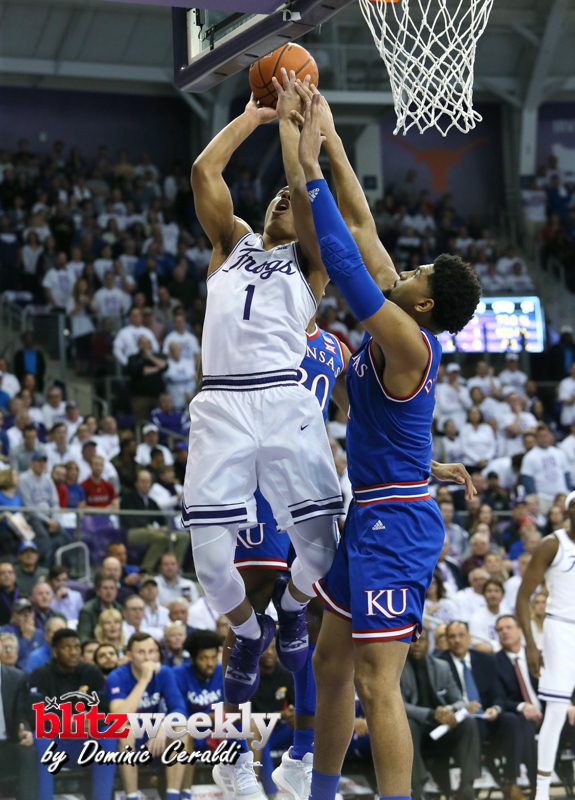 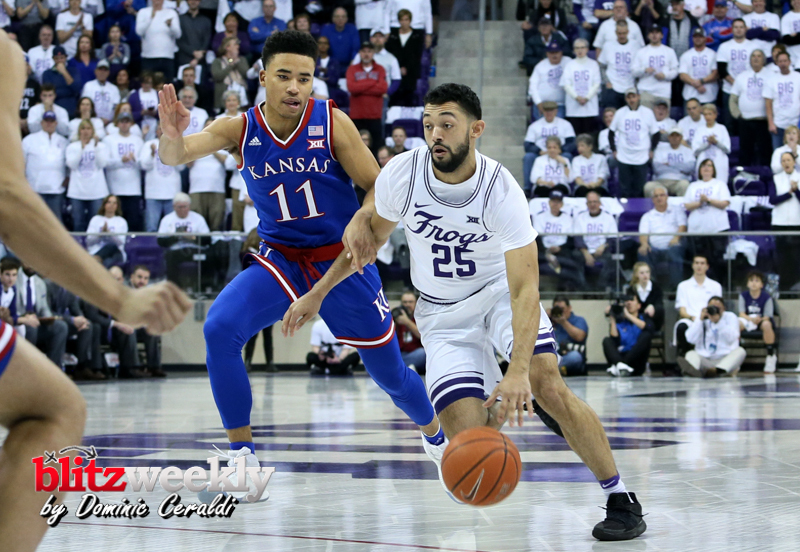 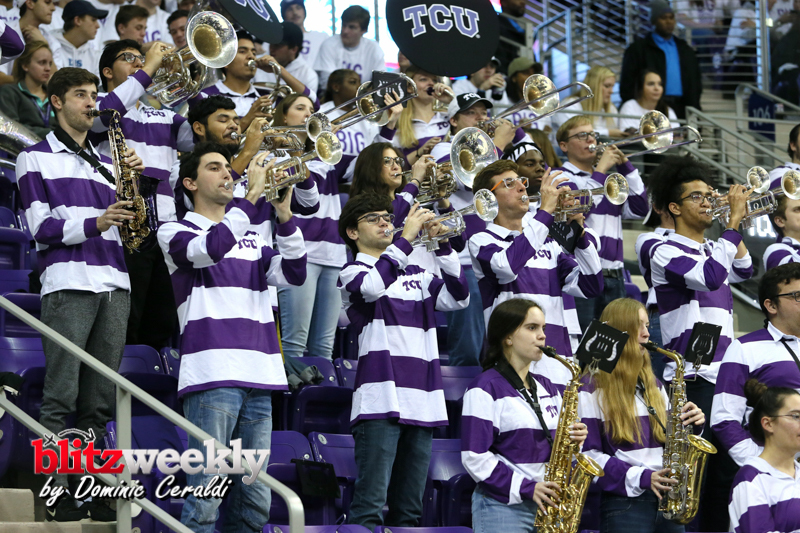 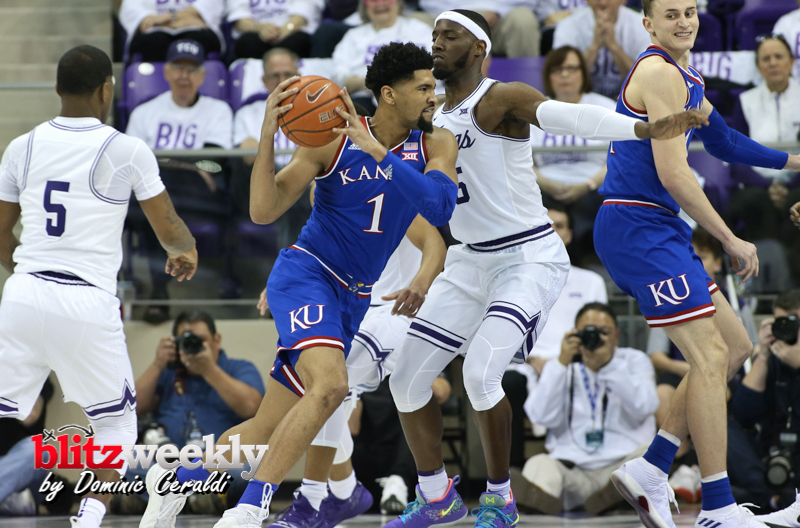 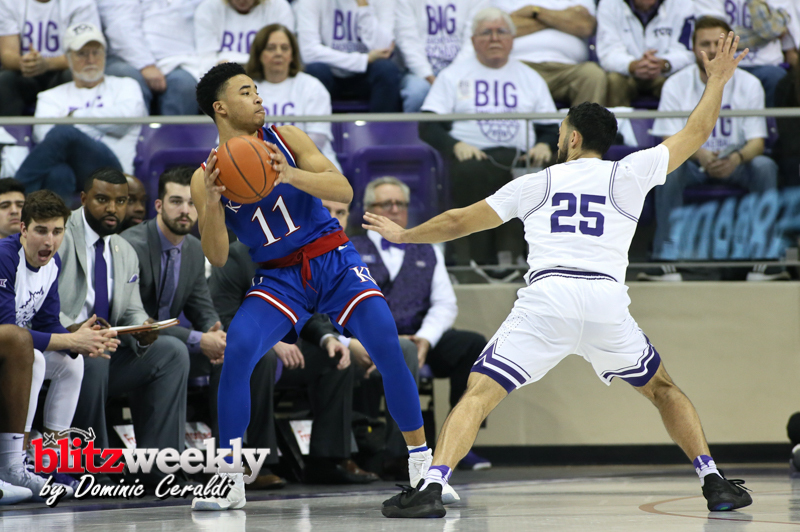 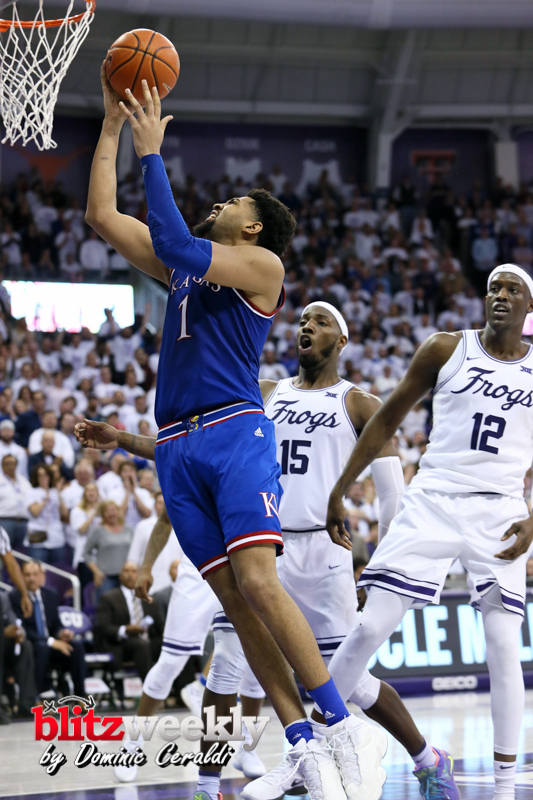 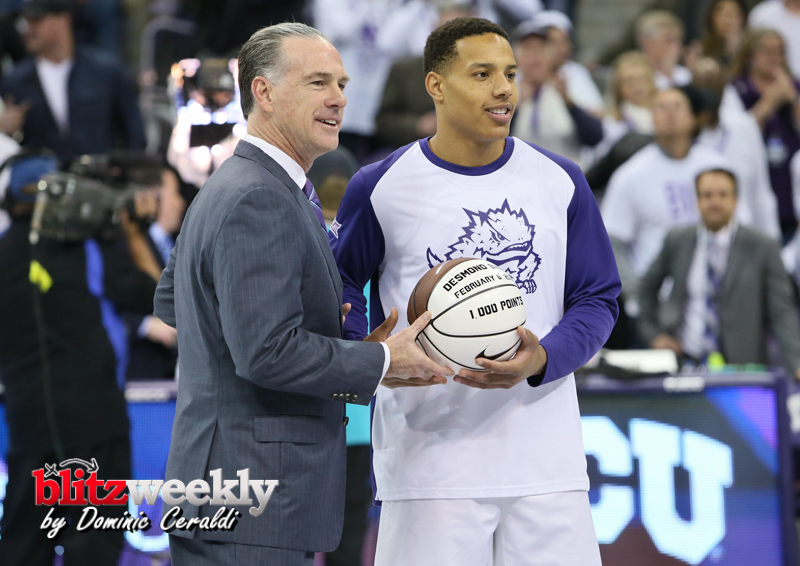 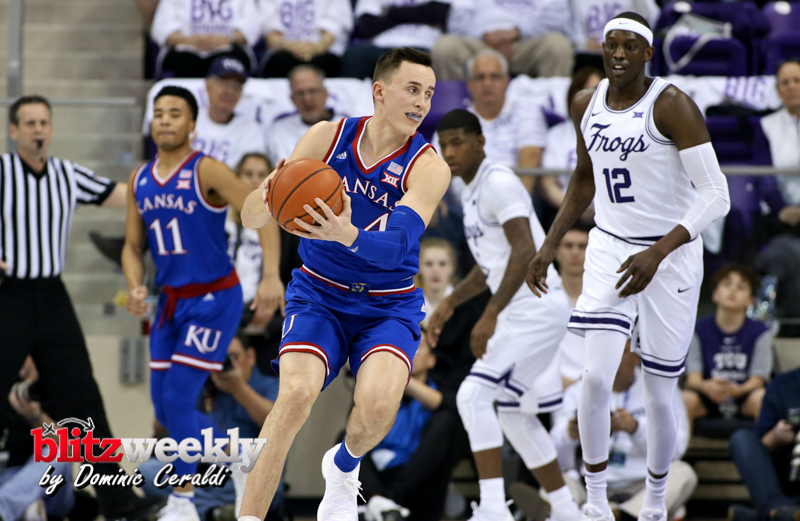 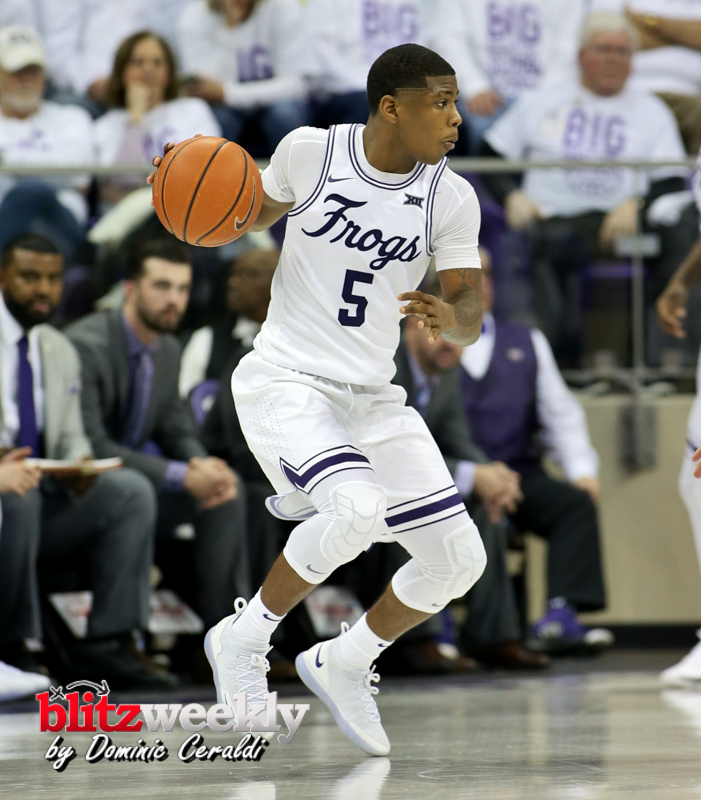 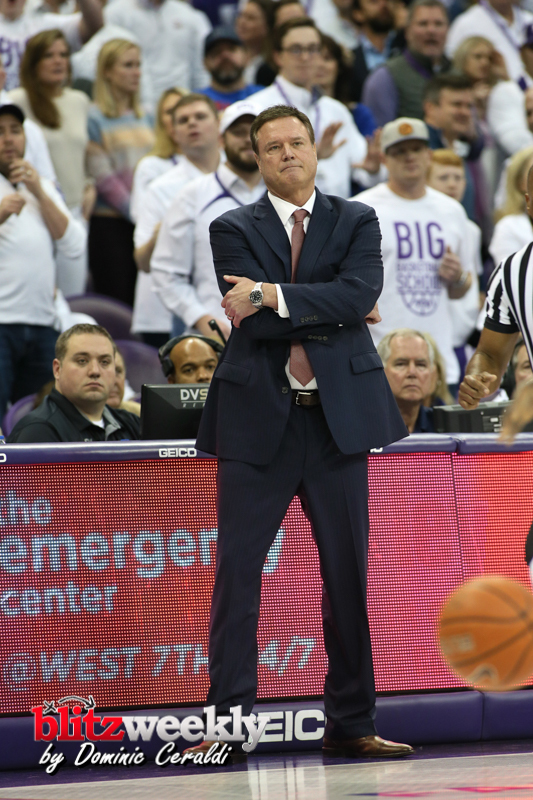 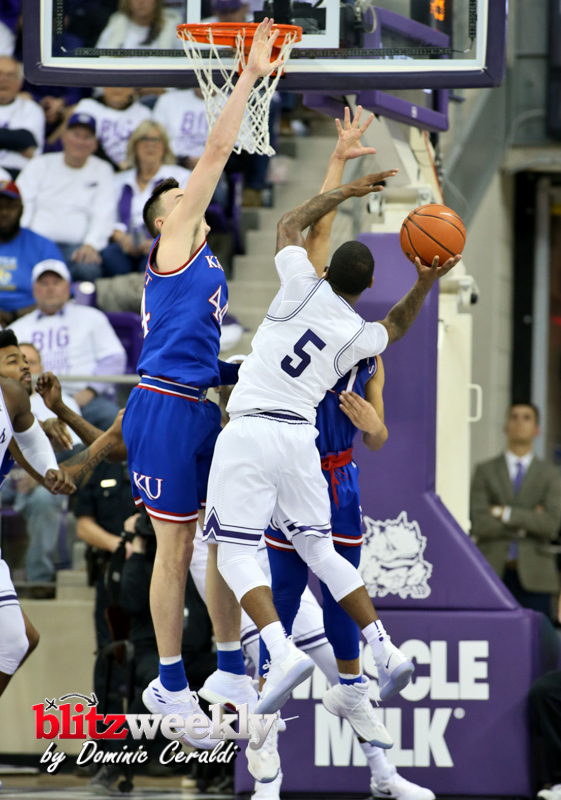 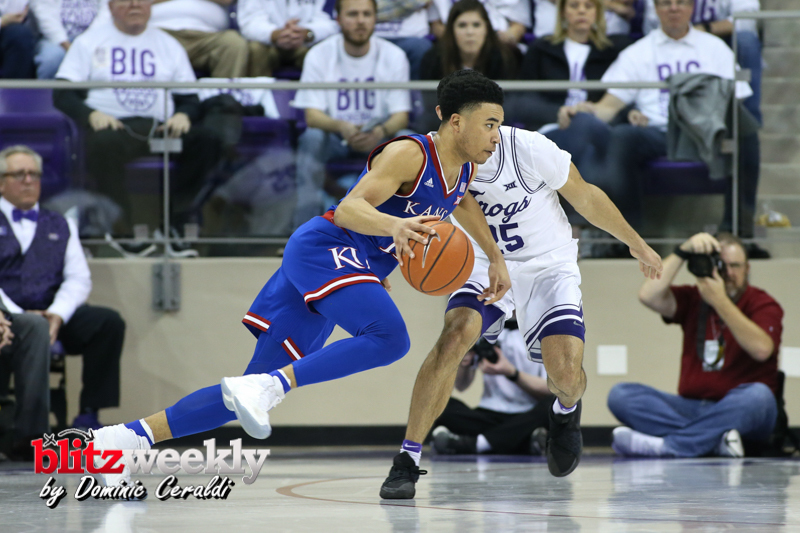 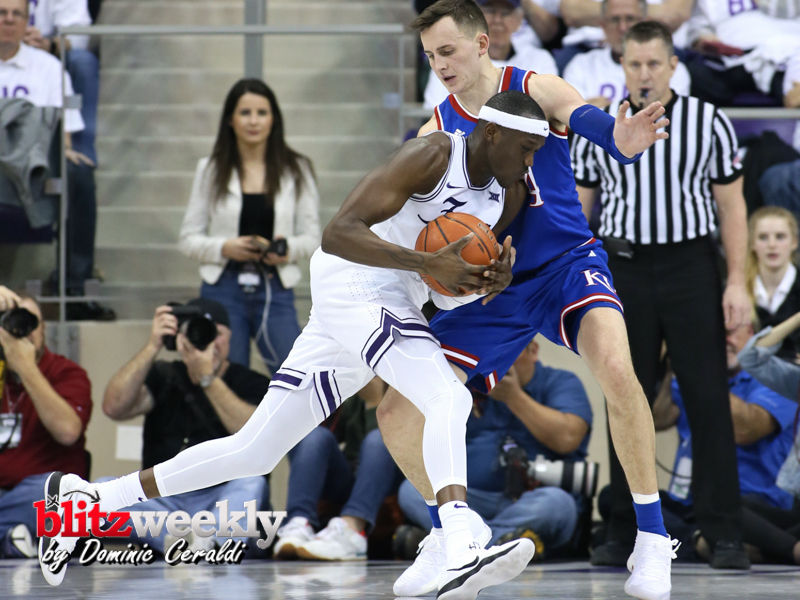 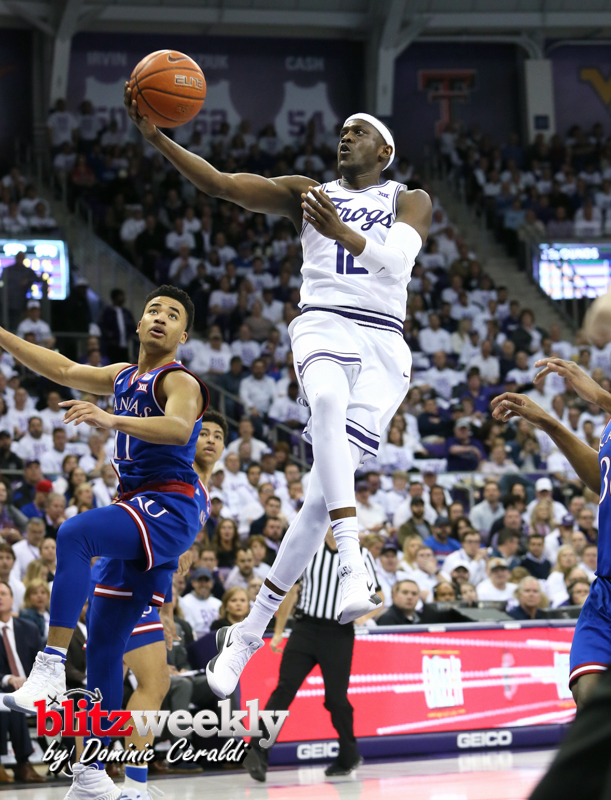 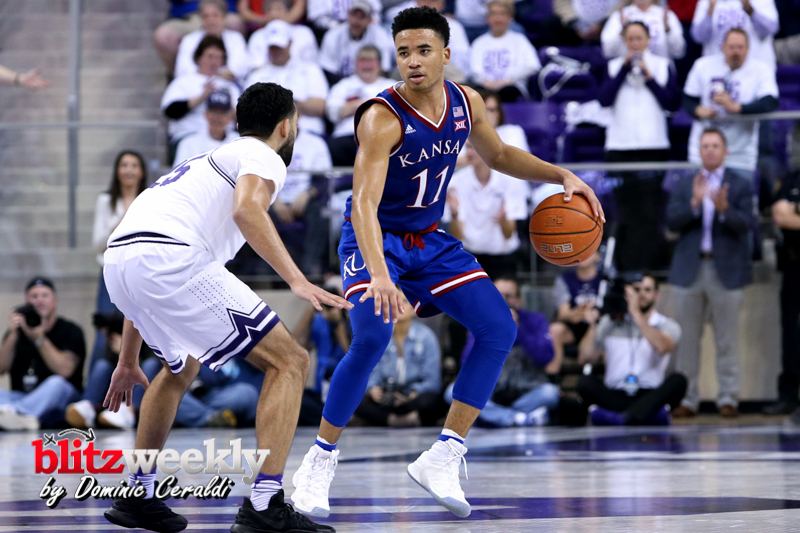 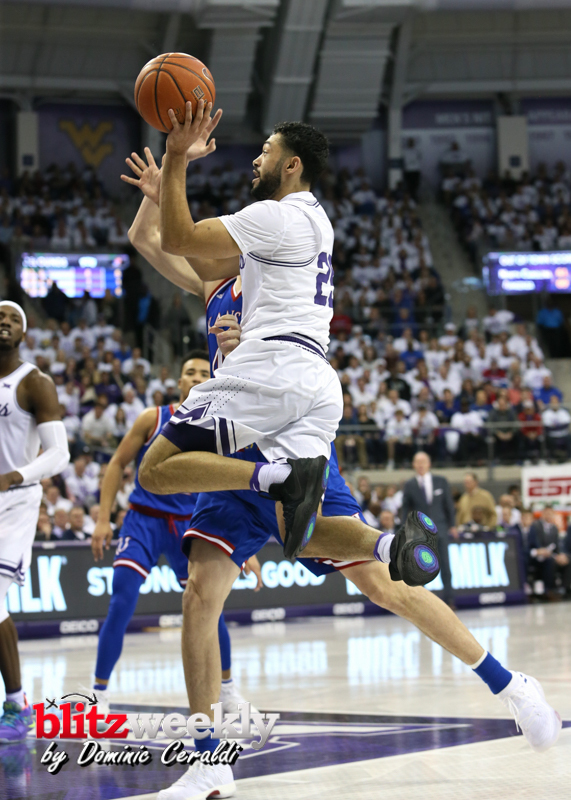 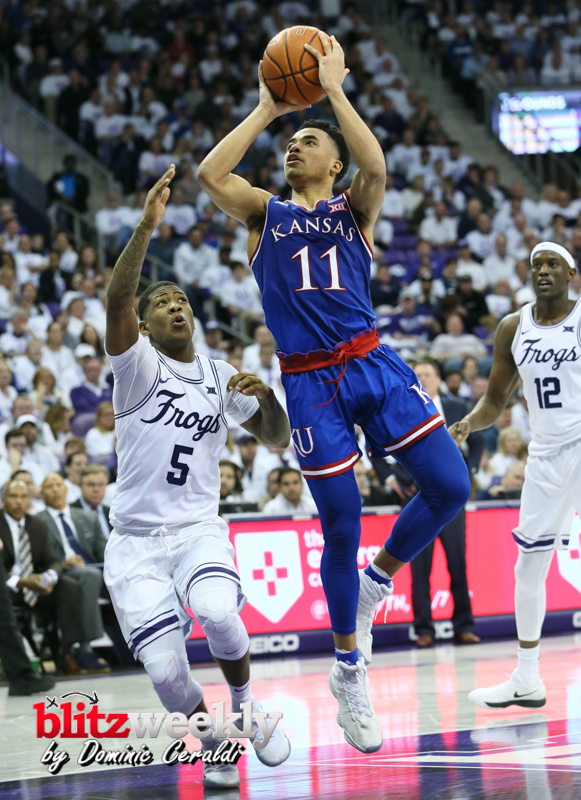 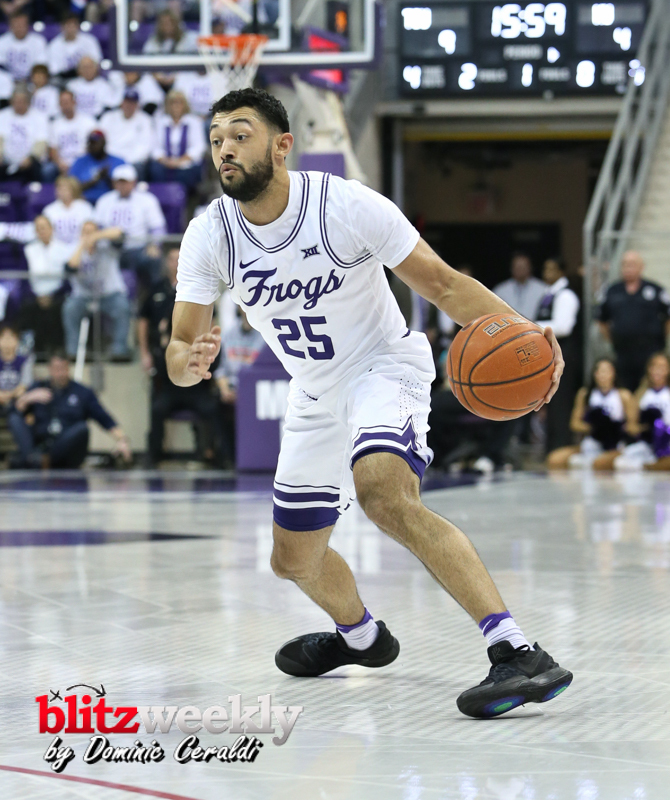 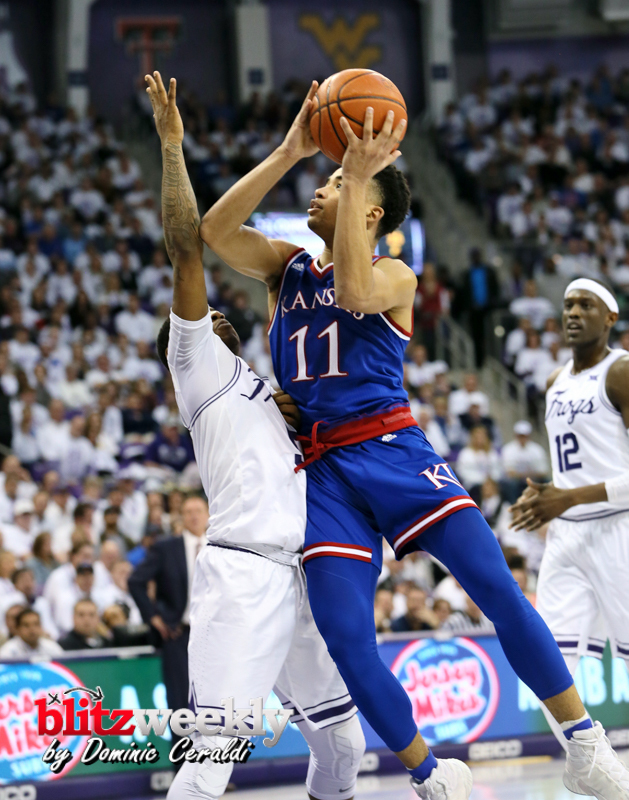 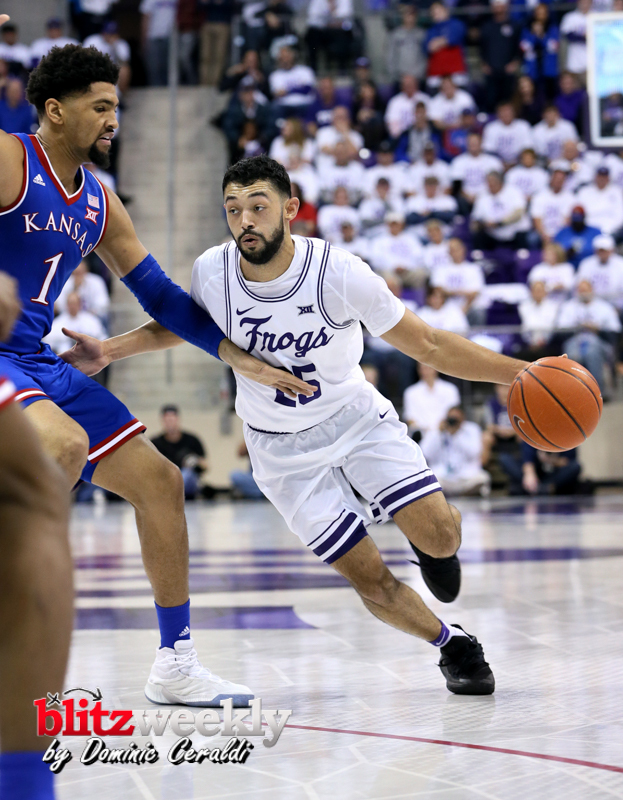 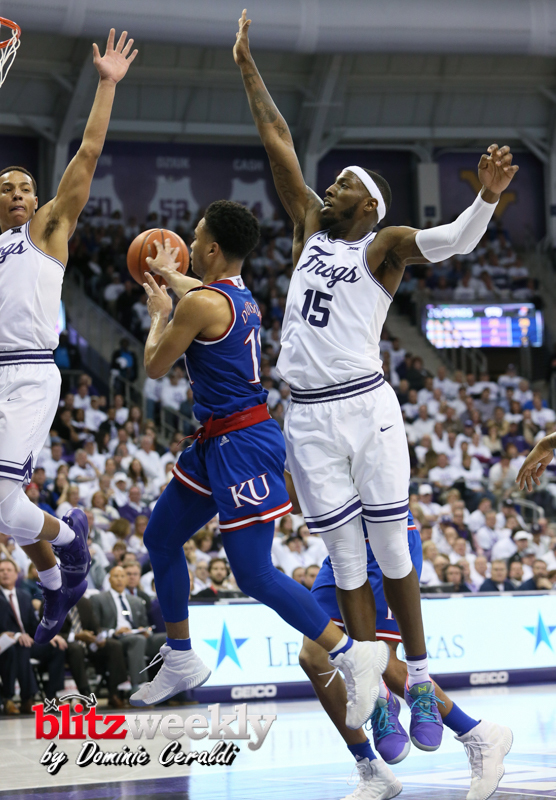 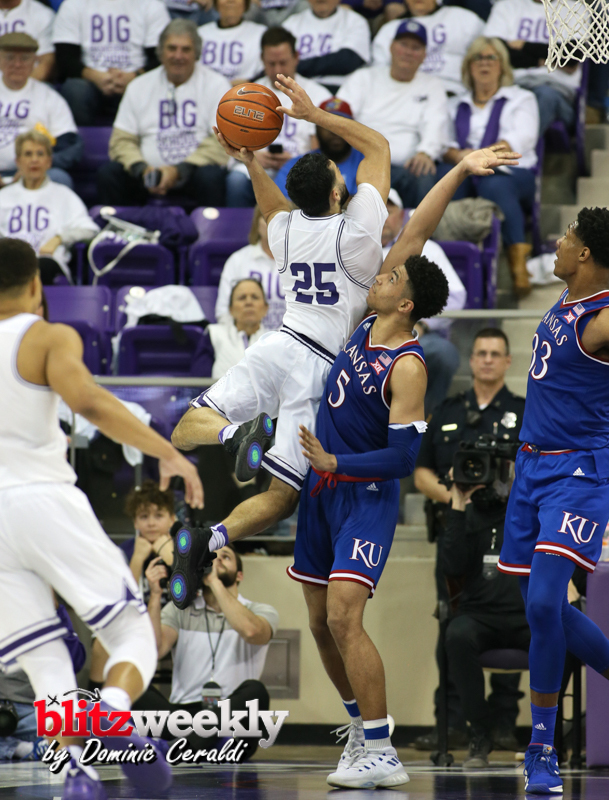 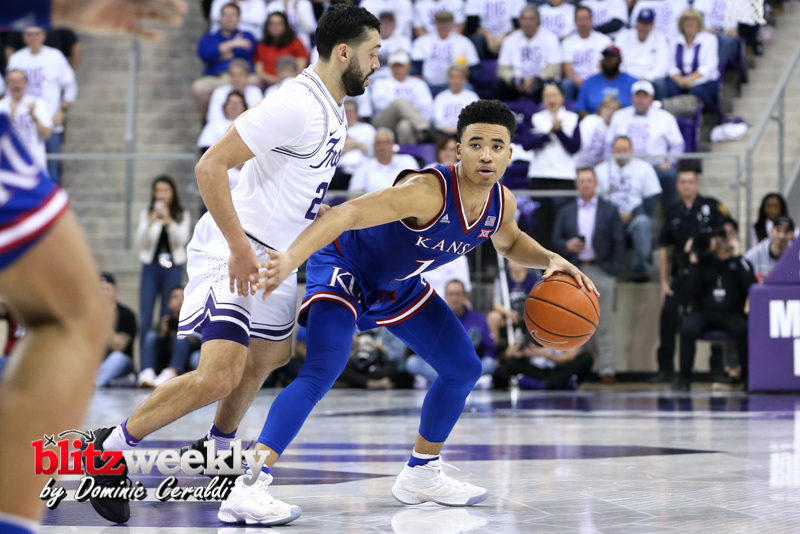 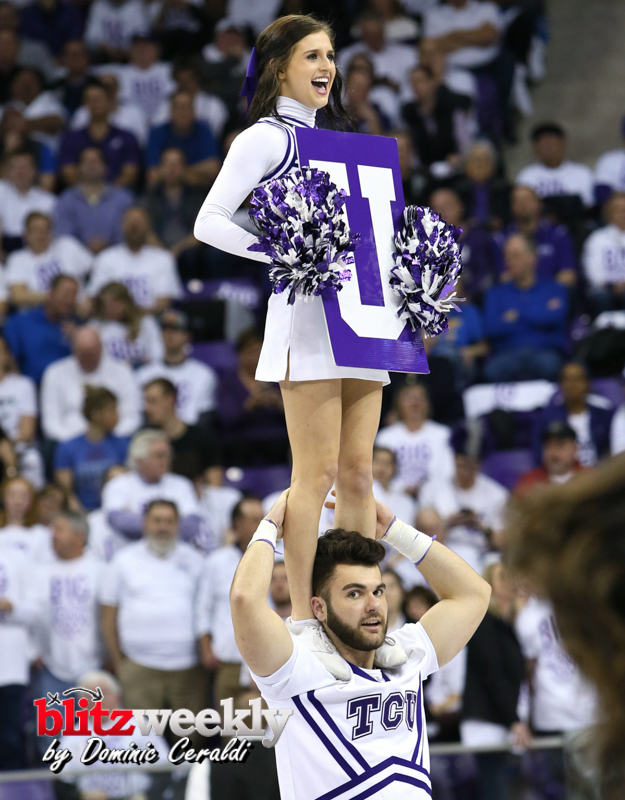 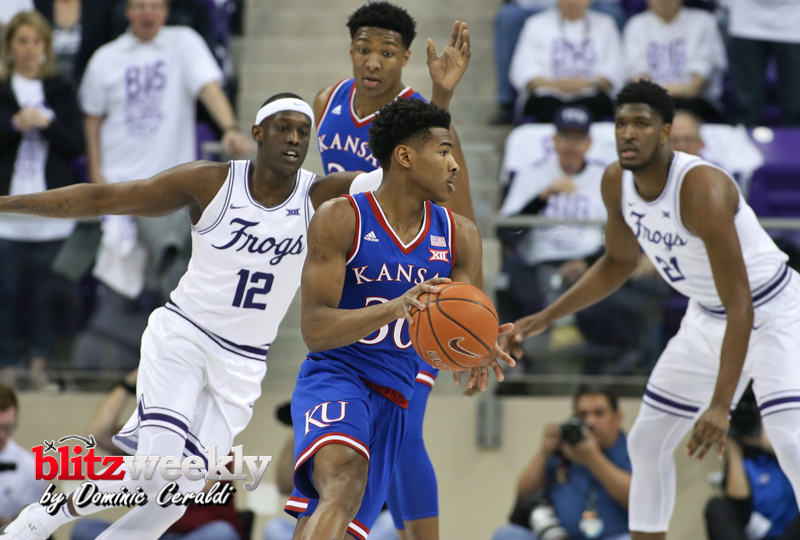 TCU (17-7, 5-6) fought hard in a back and forth affair, overcoming deficits of six and 12 points to force overtime, but Kansas’ (19-6, 8-4) 5-0 run to start overtime and its clutch free throw shooting proved to be too much for the Horned Frogs, who snapped an eight-game conference home winning streak. 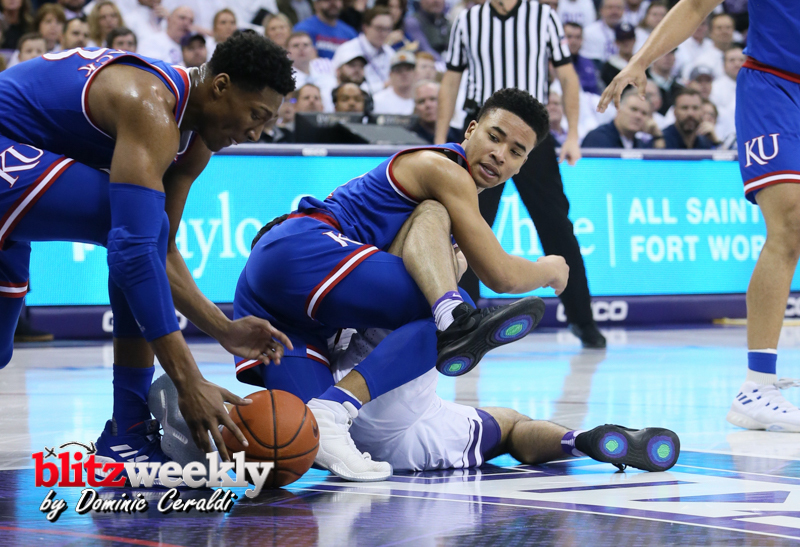 TCU scored the first seven points of the game before Kansas called a time out and responded with a 26-13 scoring run to grab a 26-20 lead with seven minutes remaining in the first half. 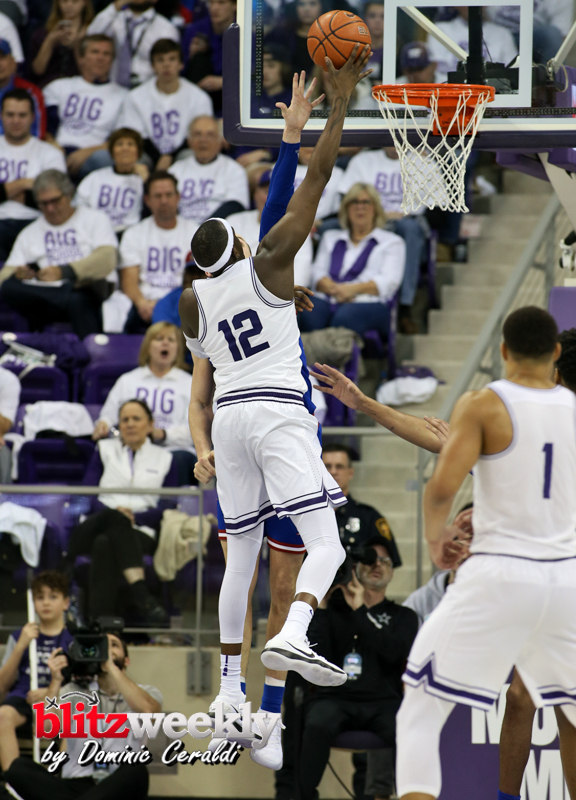 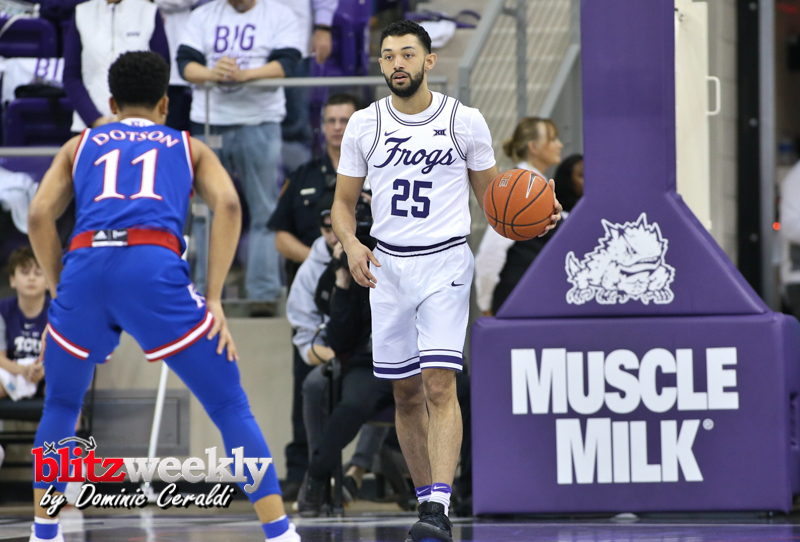 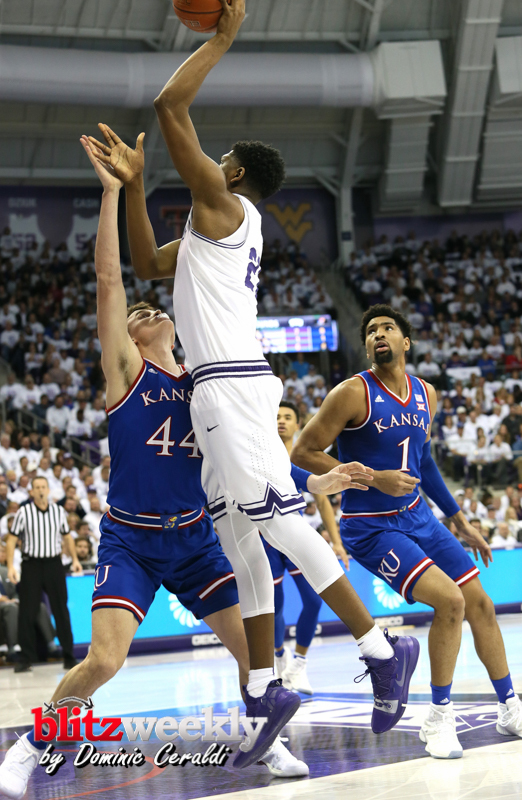 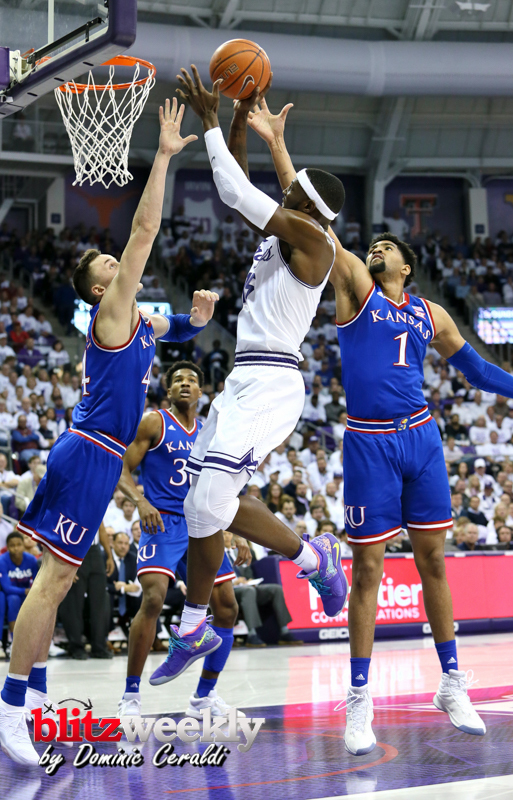 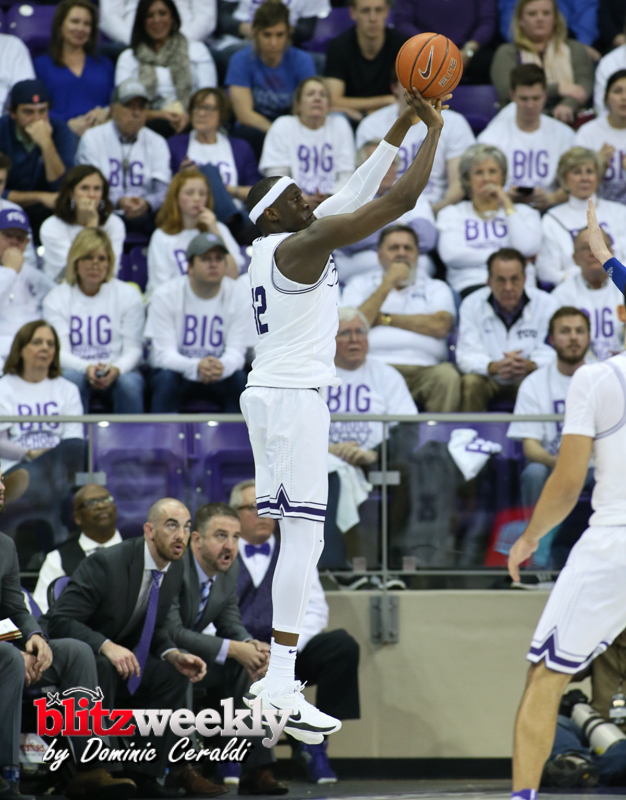 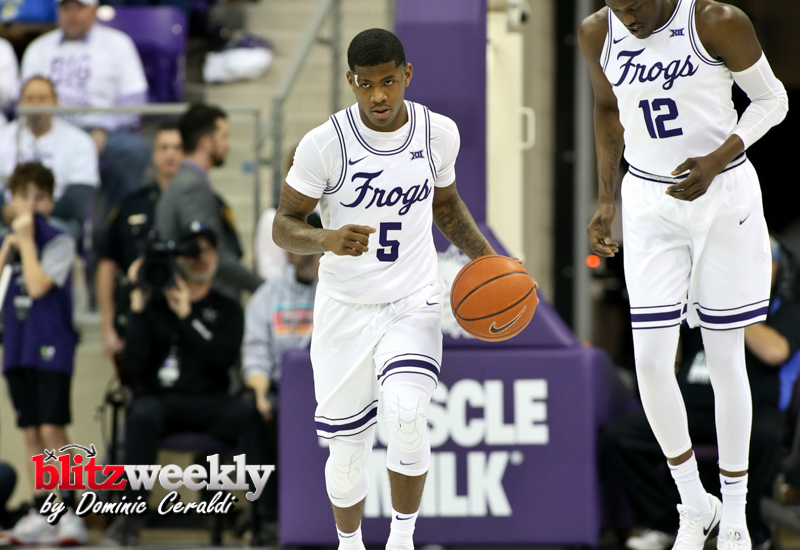 Kendric Davis proceeded to go on a personal 7-0 scoring run to propel the Frogs to a 32-28 lead with 2:49 remaining in the first half, but the Jayhawks closed the gap, tying the score at 37-37 at the half after hitting their last four shots. 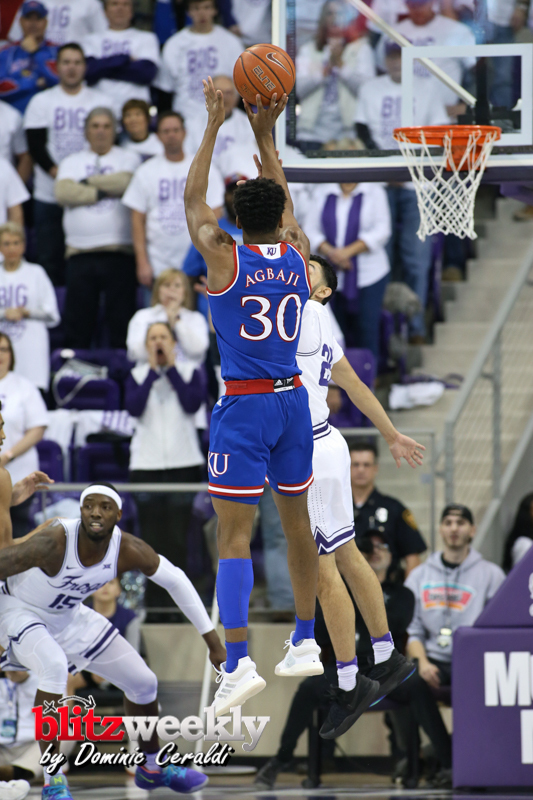 Both teams traded baskets for the first few minutes of the second half before Kansas went on an 11-2 run to grab a 53-43 lead with 13:57 remaining in the second half. 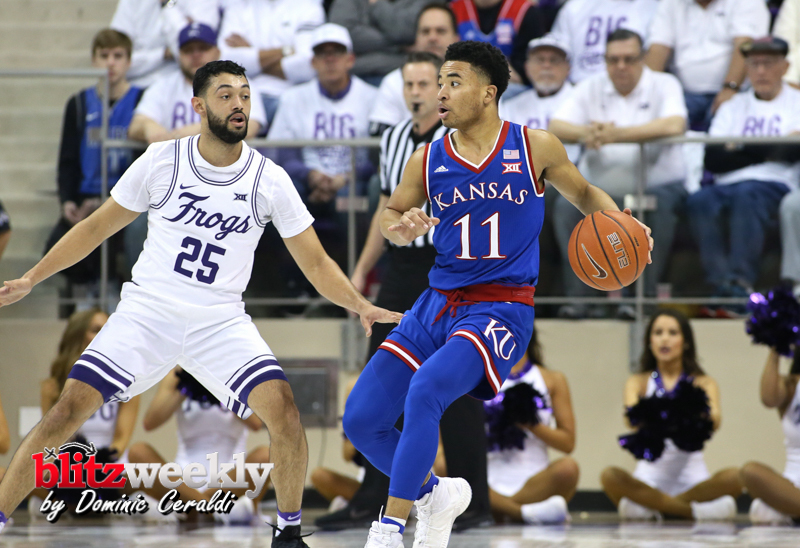 The Jayhawks held its largest lead of the game, 12, with 9:03 to play. 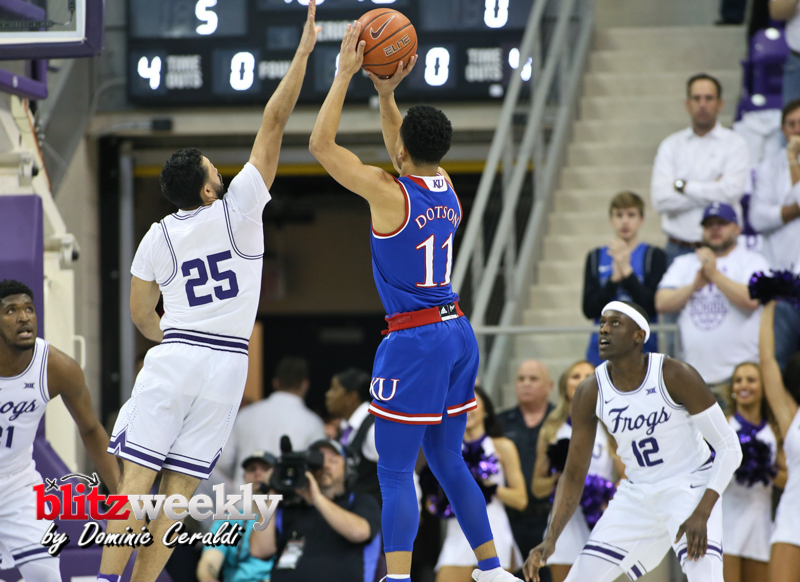 KU led by nine with just under five minutes to play before TCU responded with a 13-0 run to take a 69-65 lead, electrifying the largest crowd at Schollmaier arena this season. 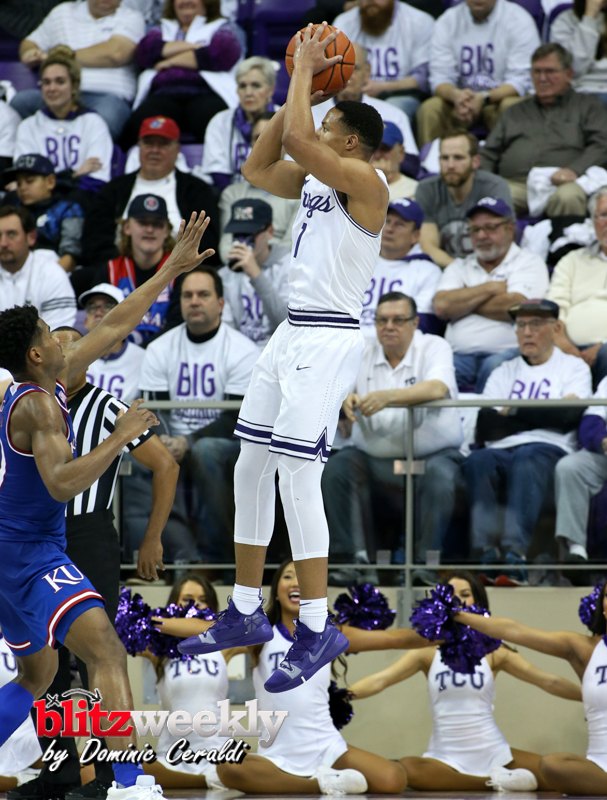 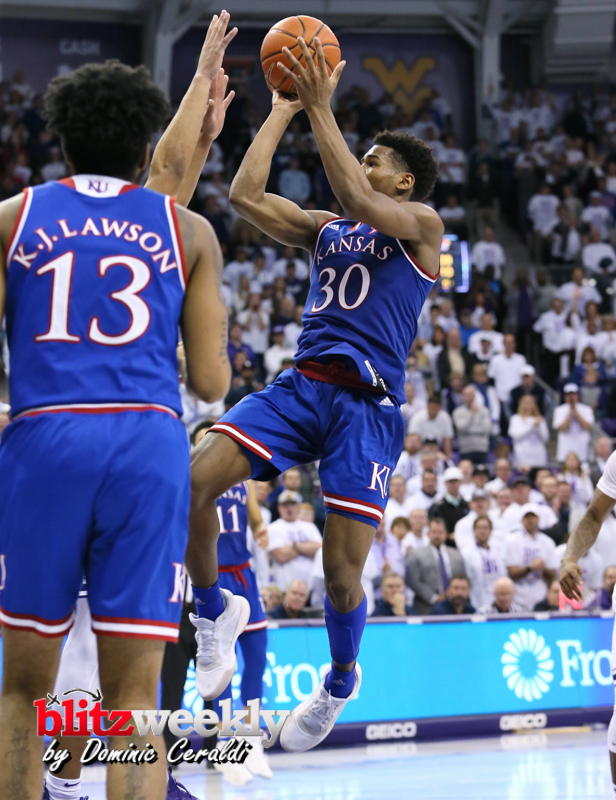 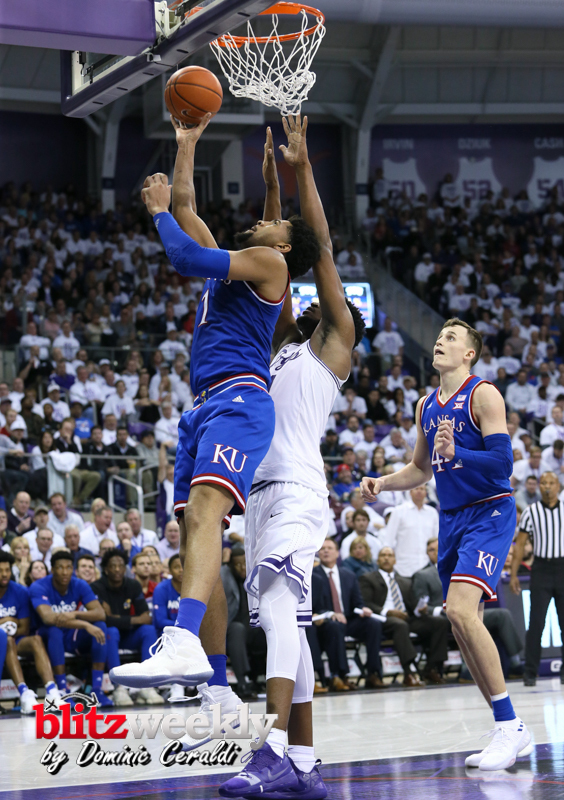 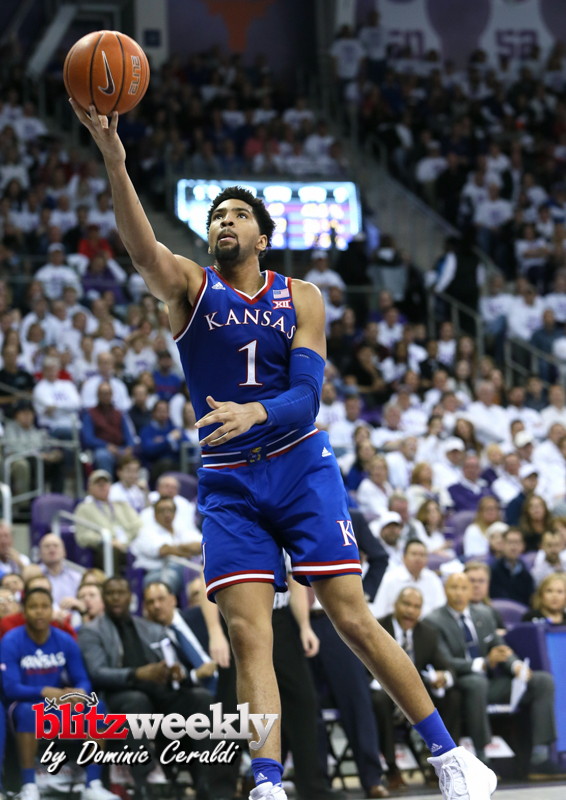 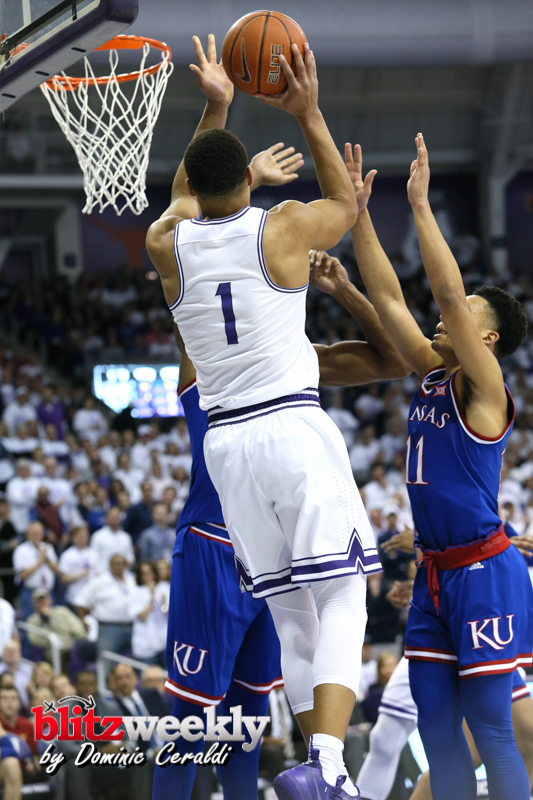 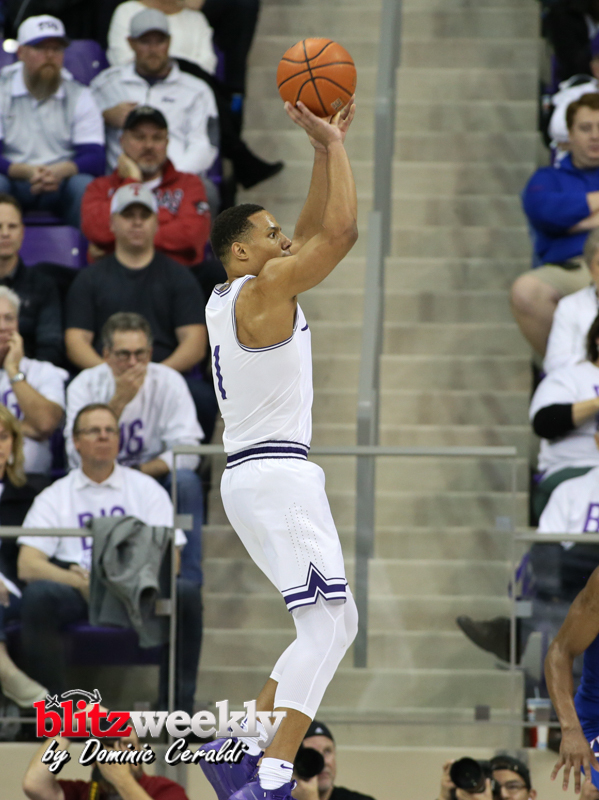 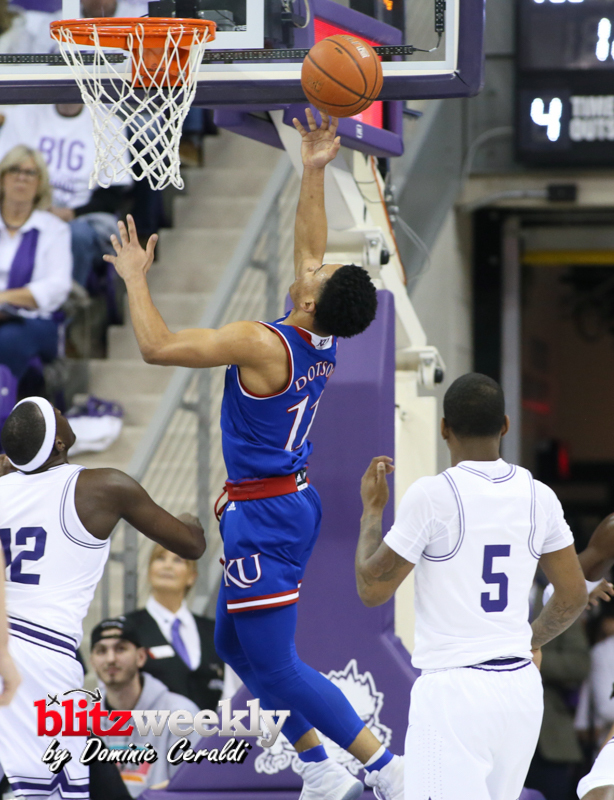 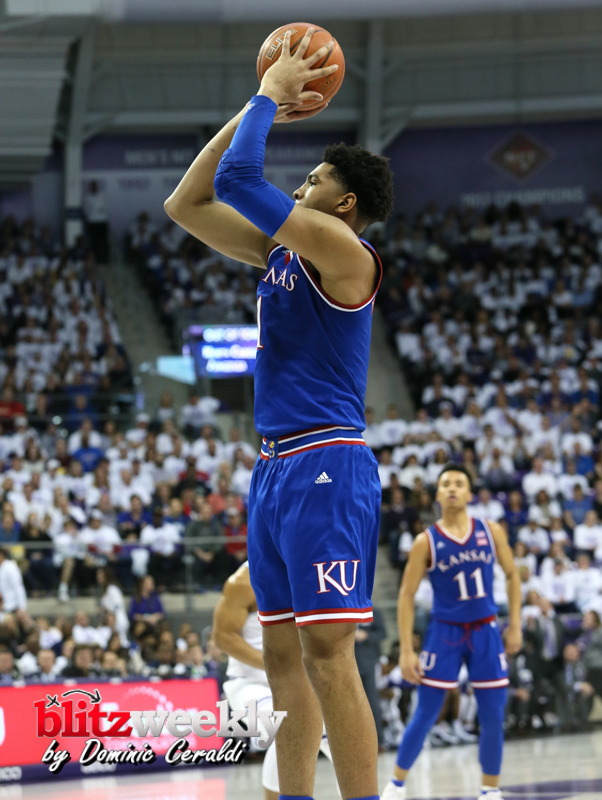 Two baskets from Dedric and KJ Lawson of Kansas in the final minute of the game knotted the score at 69-69, sending the Horned Frogs to overtime for the first time this season. 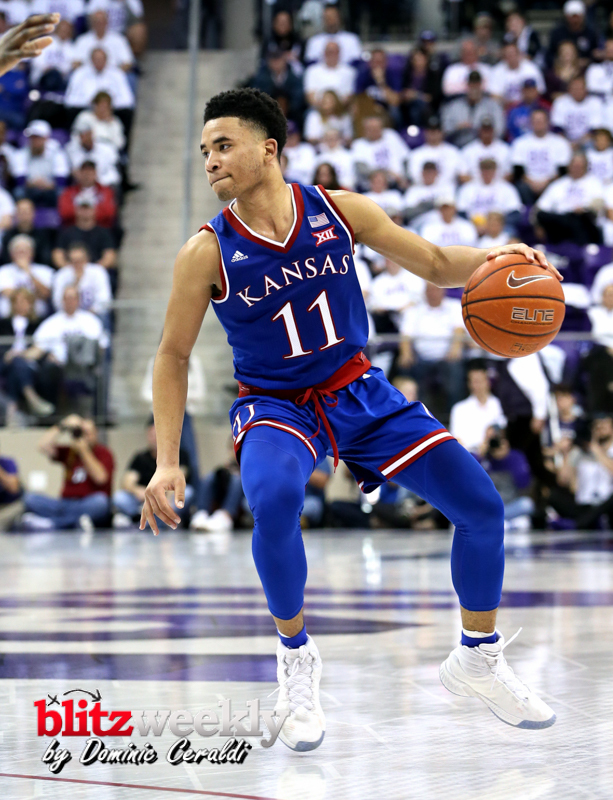 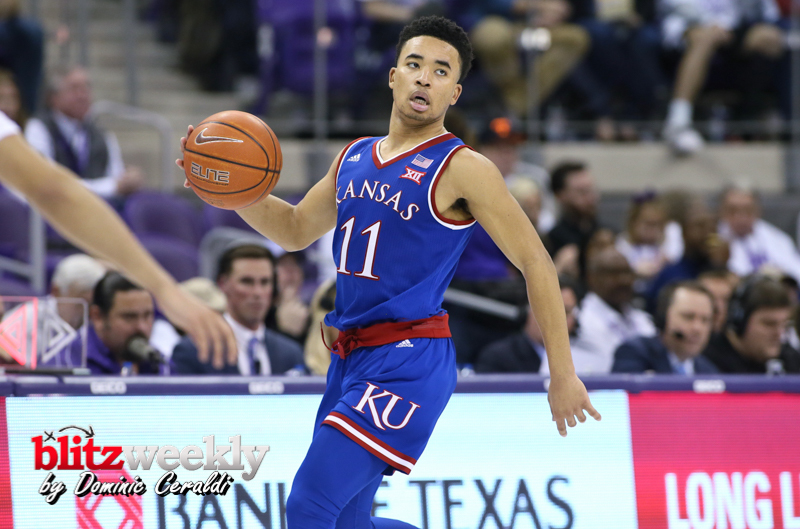 Kansas scored the first five points of overtime, but five straight points by Kouat Noi and a free throw by Davis tied the game, 74-74 with 1:28 to play. 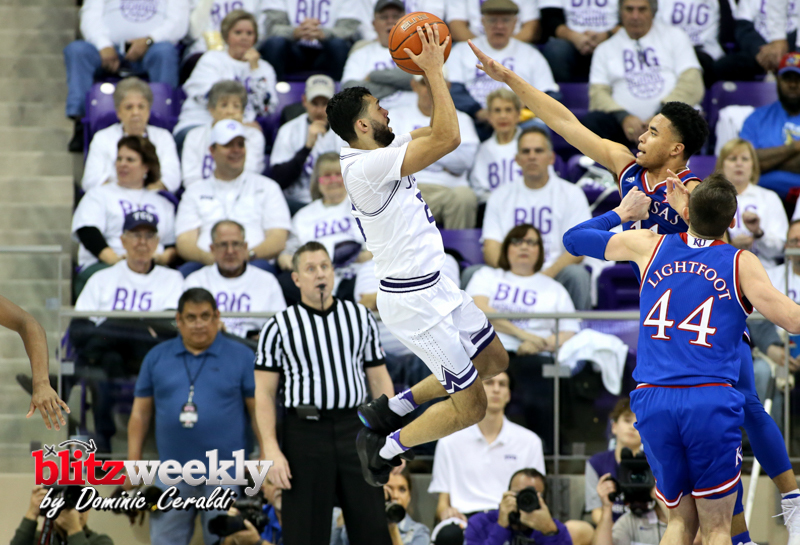 The difference in the final minute of play came at the free throw line where KU was 6-of-6 and TCU was 3-of-6.